In a beautiful area with amazing panoramic view, we undertake to organize your event. Wedding, Christening or any other event. 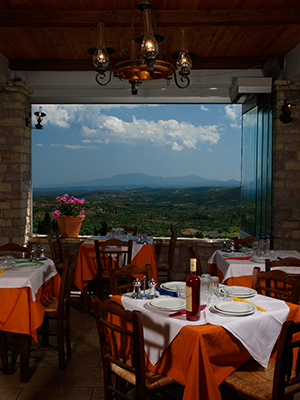 The restaurant is located in Ancient Messina (former Mauromati Ithomis) within archaeological area (Zone A) opposite the Klepsydra, ancient found. - 150 persons inside restaurant. - 250 persons outside area.